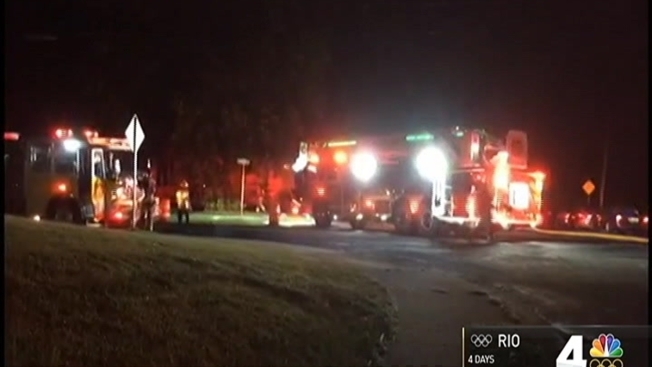 A 17-year-old boy was one of two people killed when a home was intentionally set on fire in Virginia, Prince William County police said. Fire crews were called to the 10300 block of Lomond Drive in Manassas about 12:30 a.m. Sunday. Jose Javier Avalos, 17, was pronounced dead at the scene. A man was taken to a hospital, where he died, officials said. The medical examiner's office is working to identify the second victim. Four dogs also were found dead inside the burned home. Avalos' parents, Silva Flores and Jose Quitios, last saw their son about 7 p.m. Saturday when they left the house to attend a party in Springfield, they said. Flores said she believes she knows who is responsible. Two weeks ago, she asked a family friend who lives with them to move out, because he gets violent when he drinks, she said. He agreed to leave but threatened to destroy the house, Flores said. Police have not confirmed her suspicion. After the fire was discovered, police received a call about an injured man walking in the area of Manassas Mall about a mile away. When officers arrived, they discovered a 35-year-old man was suffering from extensive burns to his body. He was taken to an area hospital for treatment and is still hospitalized. These are the 14th and 15th homicides in Prince William County this year.